We’d love to hear from you, so please get in touch with us for any further information or enquiries. Give us a call, drop us an email or come and see us at our workshop near Romsey. Please contact us in advance to arrange a meeting at our workshop so we can give you directions, sweep the floor and get some milk and cake in! 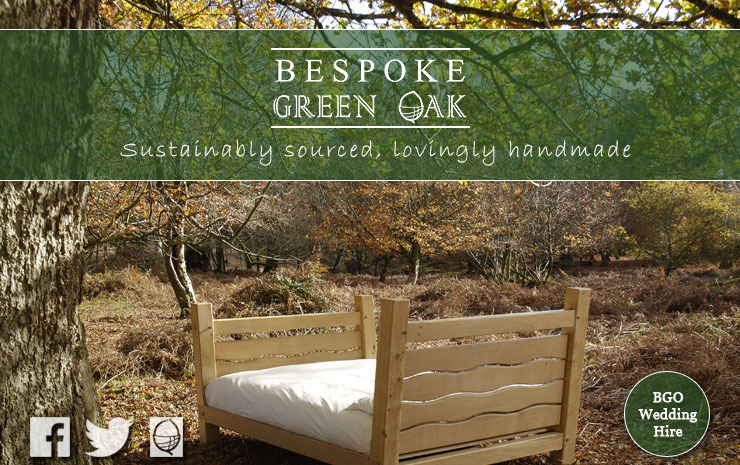 To find out more about commissioning a piece of furniture or an outdoor installation, ordering a piece of furniture or gift at an “off-the-shelf” price, or just to have a friendly chat about the work Bespoke Green Oak could do for you, please contact Peter Guille.